Rituals can be as simple as buying donuts to celebrate employee birthdays, or as quirky as giving all new hires a funny hat! It is tradition for all new interns at Google to wear a Noogler hat during their first week on the job. 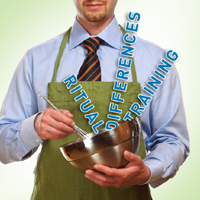 Rituals helps employees feel like part of a team. TBT’s Live The Brand Workshop can help imbue your entire organization with your brand values, creating brand champions who are hungry to deliver your brand promise across all touch- points.